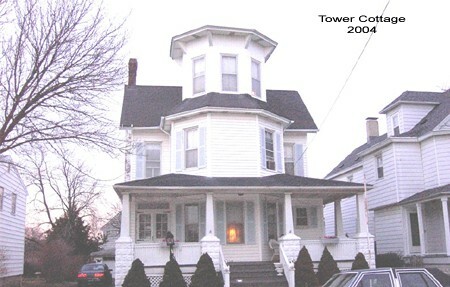 The Tower Cottage, which still retains its historical name, was built in l883. It has a very unique and interesting history of ownership. 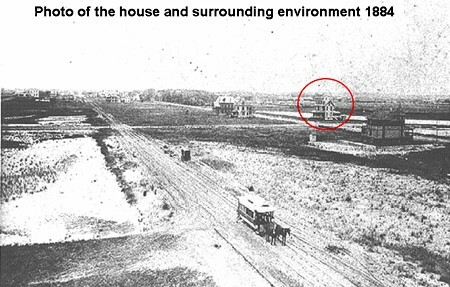 In the late l800s, the look of the community began to change from a farmed area, originally inhabited by the Lenape Indians, to an active seaside community and, soon, boasted the first ever, seaside horse drawn trolley. The newly built luxury Resort Hotel, incidentally also located on Forman Avenue, offered guests transportation from the hotel to either the railroad station or the riverfront. Frequently the trolley would pass by The Tower Cottage on its way to the beach. 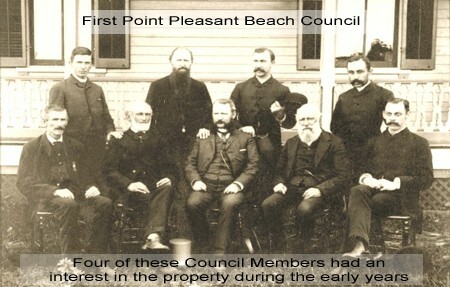 During that time, it has been noted that Grover Cleveland and Robert Louis Stevenson, among other notables, took up summer residences in Point Pleasant Beach. Legend claims that Stevenson’s visits to Point Pleasant Beach inspired him to write his classic novel “Treasure Island”. The famous Island is reportedly modeled after Osbourne Island, a picturesque plot, on the Manasquan River. The l880s also brought the railroad, across The Manasquan River into Point Pleasant Beach aiding in the rapid growth of this seaside community. The railroad is still in existence and is a major means of transportation between NYC and Point Pleasant Beach. The line ends at the neighboring town of Bay Head. Today the Manasquan Inlet remains an exceptional natural attraction as a waterway to the Atlantic Ocean for boaters, sightseeing boats and fishing enthusiasts. 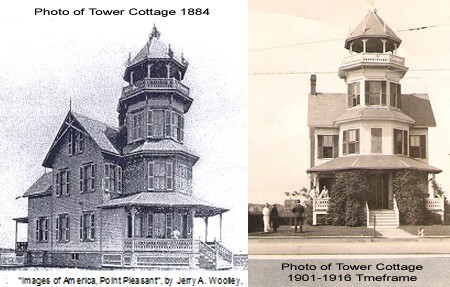 The Tower Cottage was originally built on Sunset Lake, which is now named Little Silver Lake; it is one of the first “grand homes” built in Point Pleasant Beach. Throughout its 125-year history, this house was a private summer retreat for those seeking the cool breezes and sandy white beaches away from the hustle and bustle of the Philadelphia and Trenton, NJ city limits. In recent years, the house had been used as a guest house in the summer months as a refuge for its guests who would visit from the growing populated cities of Northern, NJ. 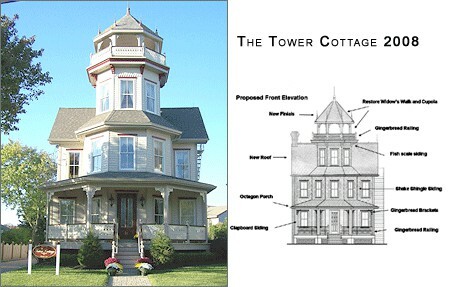 One of the magnificent features of this house was the tower which housed a widow’s walk and cupola high atop having breathtaking views of the sunrise over the blue Atlantic Ocean. Early in the twentieth century, as folklore has been told, a horrific hurricane brought havoc to the area and the tower was destroyed. The Tower Cottage was purchased by my parents, Jack and Sally Haddad, in l973 who lived a wonderful life in this home for over 35 years. My dad and I had a vision to re-build the tower to its original grandeur one day. After my dad passed away, my wife and I purchased the house from my mother with the specific intent of restoring it to its 1883 majesty. We have been actively engaged in the restoration since purchasing the property in 2005. The restoration process was an adventure which took us on a road unto itself. The plan was to restore this historical structure to its original grandeur, of the period, and operate it as a luxury inn. Every effort was meticulously made in the restoration process to duplicate the exterior without destroying the original architecture. Today, as a loving tribute to my parents, the vision has become a reality and the tower, once again is majestically perched high above the seascape for all to enjoy.